Park Systems will exhibit their Atomic Force Microscopes featuring revolutionary Park SmartScan™ automation and True Non-Contact™ in booth 5433 at SEMICON West, the premier annual event for the global microelectronics industry with an expected attendance of over 25,000 visitors. "Our partnership with many leading semiconductor institutions such as imec and Stanford provides a crucial link of scientific collaboration throughout the chain of suppliers and vendors in semiconductor wafer production creating significant technological advances in AFM-based inline nanoscale metrology," stated Dr. Sang-il Park, CEO of Park Systems. "We are excited to showcase these advances at this year's Semicon West show and give highlights at our AFM luncheon." The annual Semicon West Park AFM luncheon offers an exciting chance to network with other attendees and hear from two industry pioneers at this informal gathering. Dr. Sang-il Park, Founder and CEO of Park Systems, was a graduate student of Applied Physics at Stanford University, working in the very group that invented the AFM. He then founded PSIA, later Park Systems in 2007, and developed the world's first commercial AFM in 1989. After 25 years of continuous growth and product innovation, Park has the longest history of AFM business in the industry. The company has more than a thousand of it's AFM systems in use in over 30 countries around the world. 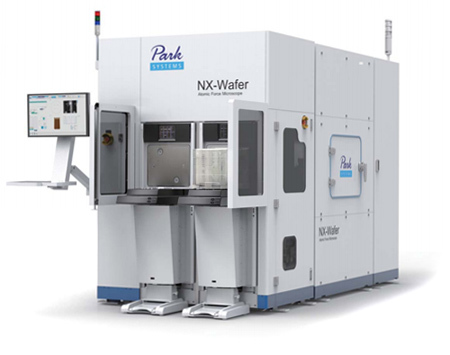 "Park continues to produce cost saving value proposition innovations for semiconductor manufacturers such as the Park NX-Wafer, designed specifically for the semiconductor industry and improving productivity by up to 1000%," commented Dr. Sang-il Park. "NX-Wafer is the only wafer fab Atomic Force Microscope with automatic defect review and True Non-Contact™ Mode AFM enabling a critical inline process to classify defect types and source their origin through high resolution 3D imaging." Prof. Saraswat is the Rickey/Nielsen Professor in the School of Engineering at Stanford University. His research currently investigates new device structures to continue scaling MOS transistors, DRAMs and flash memories of the nanometer regime, 3-dimensional ICs with multiple layers of heterogeneous devices, metal and optical interconnections, and high efficiency and low cost solar cells.Prof. Saraswat's has supervised over 80+ Ph.D. students and 25+post doctoral researchers, among them is his first Ph.D. student Dr. Rafael Reif, a Venezuelan citizen; who is currently the president of MIT.He will share information about future high performance chips, the latest technology for optical interconnects and other interconnect innovations. Registration for the luncheon is ongoing and can be done online at http://www.parksystems.com/luncheon or for more details contact Park Systems at 408-986-1110.